The end of the year is the perfect time to reflect, and what a year Hispanic Executive has had. We’ve given our readers a look at the venerable Nelson Diaz, jump-started an ongoing conversation with the inspiring Nina Vaca, and debuted our most impressive Top 10 Líderes list to date, headlined by none other than Eva Longoria. Our second annual Best Of Hispanic Executive coverage documents the stories that best capture the work we’ve done this year. Our collection is organized into three categories: Comunidad documents notable Hispanics whose work is helping our communities thrive, Sobresalir highlights executives whose dedication to excellence is paying off for their companies, and Inspirar showcases stories of passionate leaders who are working to bring out the best in others. So enjoy Hispanic Executive’s Best of 2013 and take the time to reflect on what the year has had to offer. After all, 2014 is just around the corner. We look forward to seeing you there. 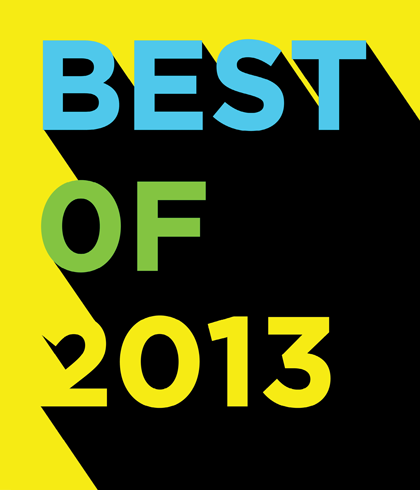 To download the “Best of 2013” edition on your iPad, visit our iTunes app here. CARLOS LINARES | Sun Products Corp.